Degree of difficulty: 0 (zero) It is practically an exercise. 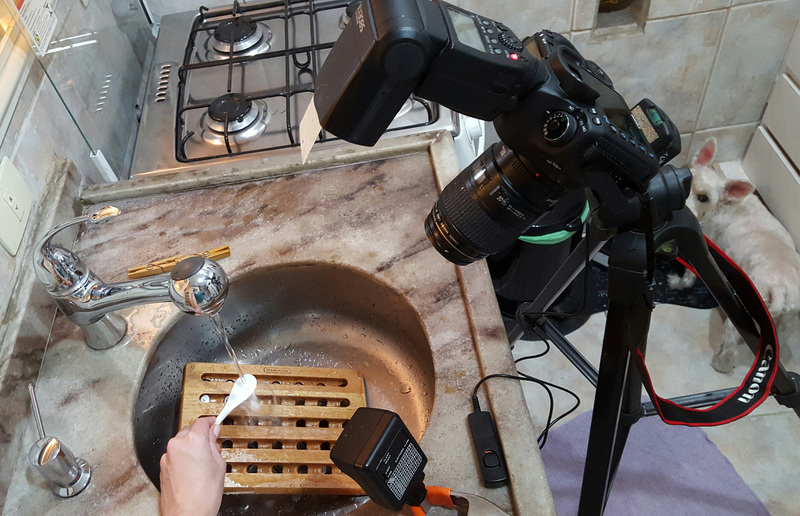 Camera on tripod (as usual) and we will use the kitchen faucet as dripper. The flash will be in the camera. I used a second flash that shoots through photocell but you can do without it. Manual focus (as always), camera at 1/125 speed only to give the timing, f.22 (as always) and flash at 1/64 of power (as always). In the kitchen sink, choose a background to compose. I used a rest pot from my house made of wood and with holes. My sink is one of those common stainless ones and I did not want that silver bottom. 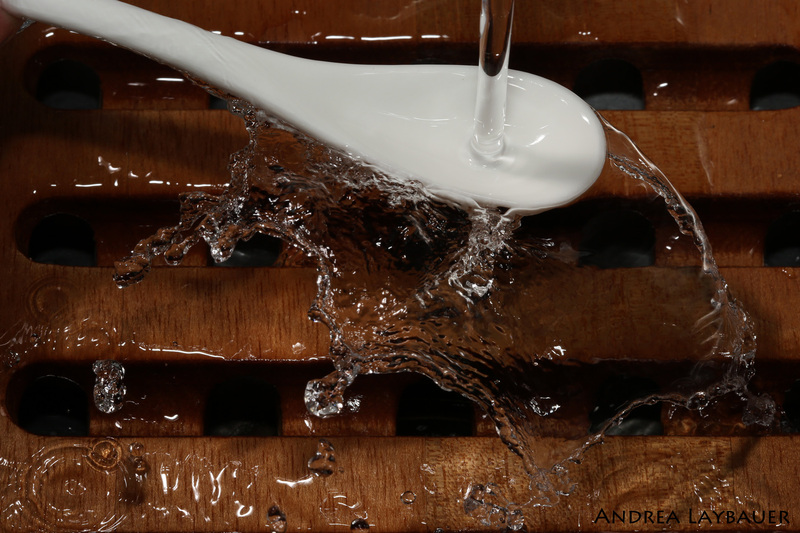 Focus lightly above the bottom as you will keep the spoon suspended so that the water flows through it. You can use your own spoon. Note that I used a plain white spoon that I won with a little chicken pot at a kid's party. I think a spoon that is not ordinary silver may look more interesting but see the same photo with the classic spoon in the "photos that did not work" below.